The procurement and acquisition of accessible electronic information and technology is a requirement of the Section 508 guidelines. Public procurement is the process used by public agencies to acquire goods, services, works and other supplies. The use of procurement policies as a social justice vehicle is a modern development in government contract agreements. Cynthia Waddell, web accessibility expert and advocate, provided an overview of accessible ICT mandates, procurement policies and legislation, as well as accessible procurement toolkits in her presentation on Public Procurement of Accessible ICT for the Global Initiative for Inclusive ICTs. Debra Ruh is a Global Disability Inclusion Strategist, ICT Accessibility Training and Social Media Thought Leader on Disabilities. She focuses on Disability Inclusion, EmployAbility, Corporate Social Responsibilities, ICT Accessibility, Corporate Social Responsibility and Social Entrepreneurs. Debra knew that her daughter Sara who was born with Down Syndrome, was capable of great things, even though some experts claimed otherwise. Taking action to prove them wrong, Debra created a path to empowerment and success for those with disabilities. Debra founded her own company to acknowledge the contributions of people with disabilities in both the workplace and the marketplace and provide accessibility consulting solutions to companies around the world. In April Debra presented a webinar for AccessGA covering information relevant to the procurement of accessible information technology. During the webinar participants learned more about how a Voluntary Product Accessibility Template (VPAT) provides information on how a product or service claims to conform to Section 508 Access Board Accessibility Standards for Electronic and Information Technology. Check out the links below for access to archived webinar resources. A number of states have passed laws requiring state agencies to provide accessible materials and technologies to their constituents. Several states have developed websites with many helpful guides and resources. Here is a snapshot of some of their best practices. The State of Oklahoma has implemented information technology accessibility procurement purchasing rules that require accessibility determinations to be conducted as part of the IT acquisition evaluation. The Access-IT Master Contract Program supports the State of Minnesota's objective to improve the accessibility and usability of information technology products and services for all government end-users. The Texas Department of Information Resources is committed to supporting state agencies and institutions of higher education in their efforts in making Texas government information and services accessible to everyone. The Kansas Partnership for Accessible Technology (KPAT) addresses web and information technology accessibility issues and provides related policy, standards, guidelines, and procedural recommendations. The Information Technology Industry Council (ITI) partnered with the U.S. General Services Administration (GSA) to create a tool to assist Federal contracting and procurement officials in fulfilling the market research requirements contained in the Section 508 implementing regulations. The result is the Voluntary Product Accessibility Template, or VPAT. A VPAT is a vendor-generated statement (using the required template) that provides relevant information on how a vendor’s product or service claims to conform to the Section 508 Standards. The VPAT was designed to provide information on how a product or service conforms to the Section 508 Accessibility Standards (from the U.S. Access Board) for Electronic and Information Technology (EIT) in a consistent fashion and format. In general, Vendors should generate a VPAT whenever they develop products or services that are determined to be E&IT also known as Internet, Communications and Technology (ICT) and are to be sold in the Federal or State market place. In each VPAT, the vendor is expected to make specific statements, in simple understandable (recommended) language, about how their product or service meets the requirements of the Section 508 Standards. AccessIT is now AccessGA. You will notice a similar logo and the same mission: to help guide Georgia state agencies as they seek to remain compliant and accessible to all users. Please make sure to be on the look out for further AccessGA communications as we begin to ramp up for another productive year. In May several of our staff attended and presented at the 4th annual ADA for State and Local Governments Conference. This conference highlighted ways state and local governments are called upon to ensure that qualified individuals with physical and mental disabilities are afforded equal opportunities to participate in state and local programs, services, and activities. Check out the links below for archived presentations from the conference. The AccessGA Wiki page is your go-to resource for your accessibility needs. On the site you can find valuable information about upcoming webinars, previously recorded training sessions, various service categories, procurement, and so much more. Our team is constantly adding new content and resources to help meet state agencies' growing and changing accessibility needs. Click to visit our Wiki page. The focus on website accessibility is relatively new, but it continues to grow at a rapid pace. For an introduction to accessibility join expert Todd Liebsch on July 23, from 2-3 PM EDT as he offers an Accessibility 101-level overview of website accessibility. Why is Accessible ICT Procurement Important for State Agencies? Over 1 billion people live with some form of disability. Approximately 1 in 2 Americans are living with or are directly affected by individuals with disabilities. 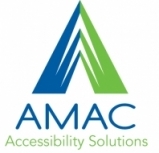 The Georgia State ADA Coordinator's Office works with AMAC Accessibility Solutions to provide valuable resources and training to state agencies regarding accessible content.